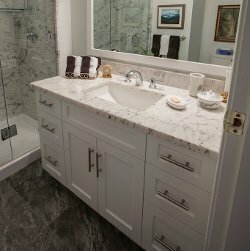 If you are renovating your bathroom, one of the best ways to make your new look stand out is with a cultured marble vanity top from Edmonton Bath Products, Ltd. No matter whether you have an n-counter sink or want to perch a bowl on top in a contemporary look, we have the vanity top best suited for the decor you want to establish — and your budget as well. 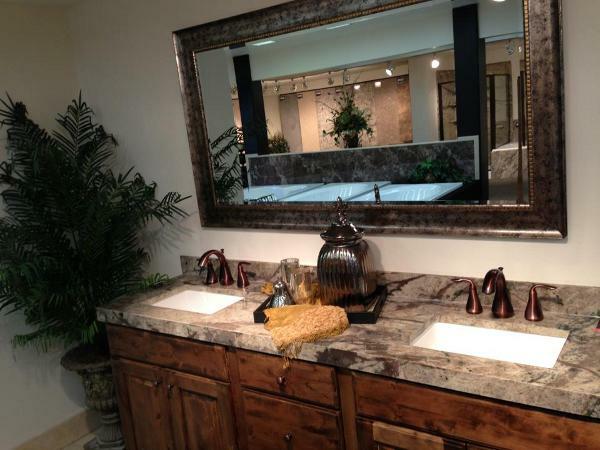 Cultured marble bathroom vanity tops make for the best solution for many of our clients for a number of reasons. First of all, the price of cultured marble is significantly less than that of the genuine article — but you can’t tell the difference between the two surfaces unless you take away the first few layers off the top and analyze the interior of the counter, and most of our clients (and especially their guests) don’t give countertops that degree of scrutiny. Another advantage is the ease of maintenance. Even if you religiously apply marble sealant, real marble is a porous surface that absorbs stains and is much easier to chip and crack than the cultured alternative. 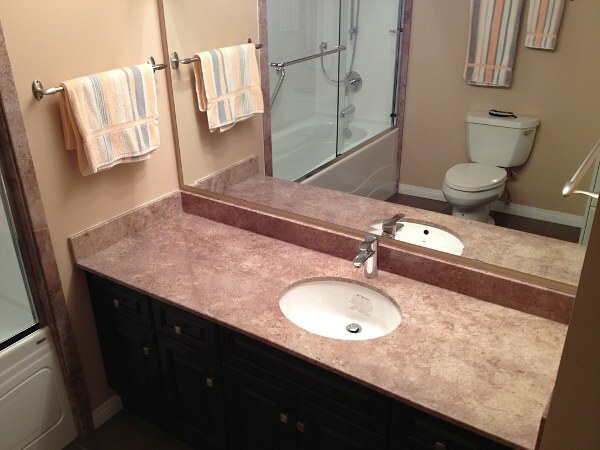 In most cases, you can use general purpose bathroom cleaners to keep your cultured marble countertops looking tip-top. Occasionally, you may need to get a cultured marble cleaner in order to restore that original sheen, but the majority of the time you can use the same cleaner you use elsewhere in your house. Many of our clients enjoy the wide variety of color options that are available to them. 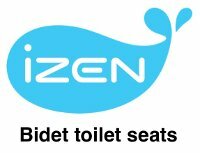 You can choose from solid colors, marbling and veined finishes. Choose the right color blends that match the wallpaper or paint in your bathroom, as well as the degree to which your bathroom is going to be contemporary or classic when you are done with it. At Edmonton Bath Products, Ltd., our first commitment is to the satisfaction of our clients. 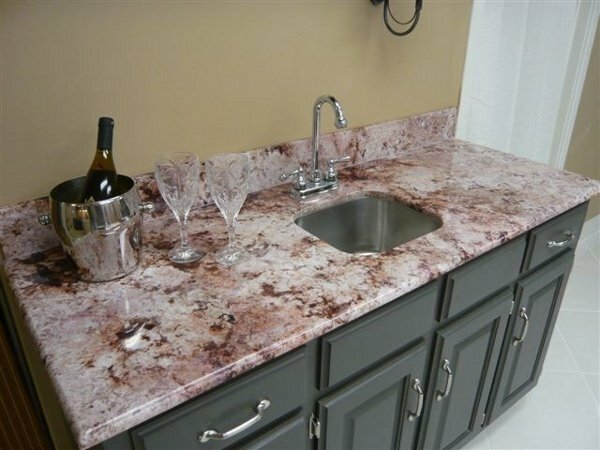 This begins with the precision and quality of our manufacturing processes, which are calibrated to ensure that each countertop provides both superior durability and performance as well as aesthetic beauty that stands the test of time. We guarantee the quality of our surfaces so that our clients don’t need replacement or repair on the basis of normal wear and tear. 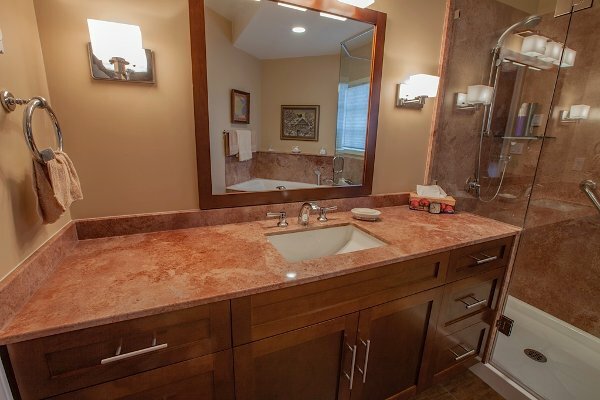 If you are considering a renovation of your bathroom, take a look at the cultured marble vanity tops that Edmonton Bath Products, Ltd., offers. 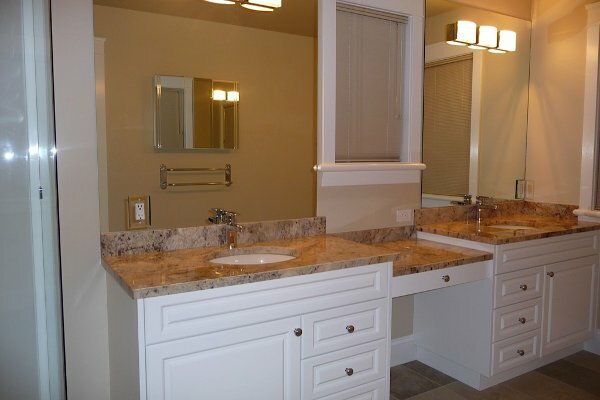 We will send a bathroom renovation consultant to your home to discuss the different choices that you have. Being in your home allows us to get a sense of the decorative style you are trying to achieve. 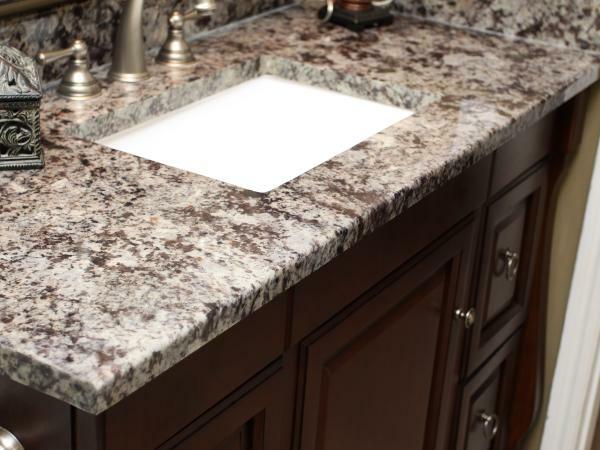 We want to help you find the best bathroom vanity countertops on the market, and knowing exactly what you want to do helps us provide you with the very best service. 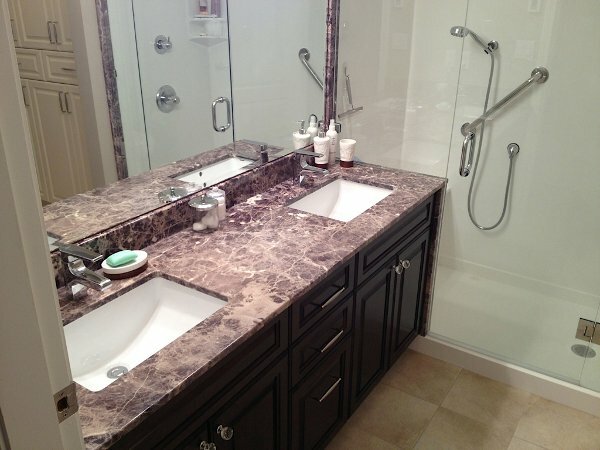 Give one of our bathroom renovation specialists a call today. 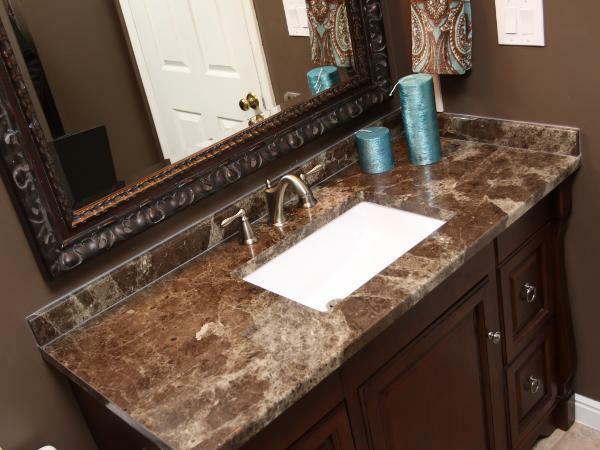 We will schedule a time to come out and discuss what you want to do in your bathroom, and we will help you find the countertop for your vanity that makes the statement you want to send. Get in touch with us today!